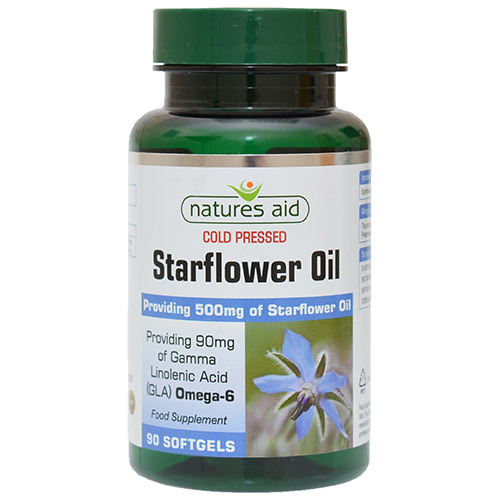 Natures Aid Starflower Oil is a rich natural source of Gamma Linolenic Acid (GLA) and contains more than twice the level of GLA found in Evening Primrose Oil. GLA is important in helping to maintain the hormone balance which regulates and controls important bodily functions including the menstrual cycle. Many women like to take this supplement around the time of their period. Starflower Oil (Borage Oil), Gelatin, Glycerine. Below are reviews of Natures Aid Starflower Oil - 90 Softgels by bodykind customers. If you have tried this product we'd love to hear what you think so please leave a review.